As a member of both the New York and Georgia State bars, Professor Gatewood practiced for more than 18 years, specializing in a wide range of commercial, corporate and real estate transactions. During his private practice, Professor Gatewood was a partner and associate at Powell Goldstein LLP, where he represented a diverse group of corporate and institutional clients. 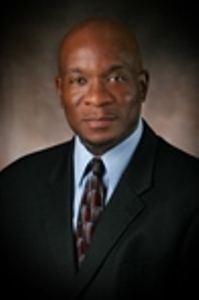 He was also an associate with Troutman Sanders LLP and Weil Gotshal LLP in New York, and served as Assistant General Counsel for the Atlanta Housing Authority. In 2005, Professor Gatewood founded and was managing partner of his own private practice, where he practiced primarily in commercial lending and real estate law. A former member of the Board of Directors of the Business and Finance Law Section of the Atlanta Bar Association, Professor Gatewood joined the faculty of Atlanta’s John Marshall Law School in 2008.